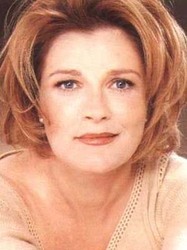 Kate Mulgrew is an American actress, most famous for her roles on Star Trek: Voyager as Captain Kathryn Janeway and Ryan's Hope as Mary Ryan. She has performed in multiple television shows, theatre productions and movies, she has also earned multiple awards for her acting, including an Obie Award, a Golden Satellite Award and a Saturn Award. She has also been nominated for a Golden Globe Award. She is also an active member of the Alzheimer's Association National Advisory Council and the voice of Cleveland's Metro Health System.